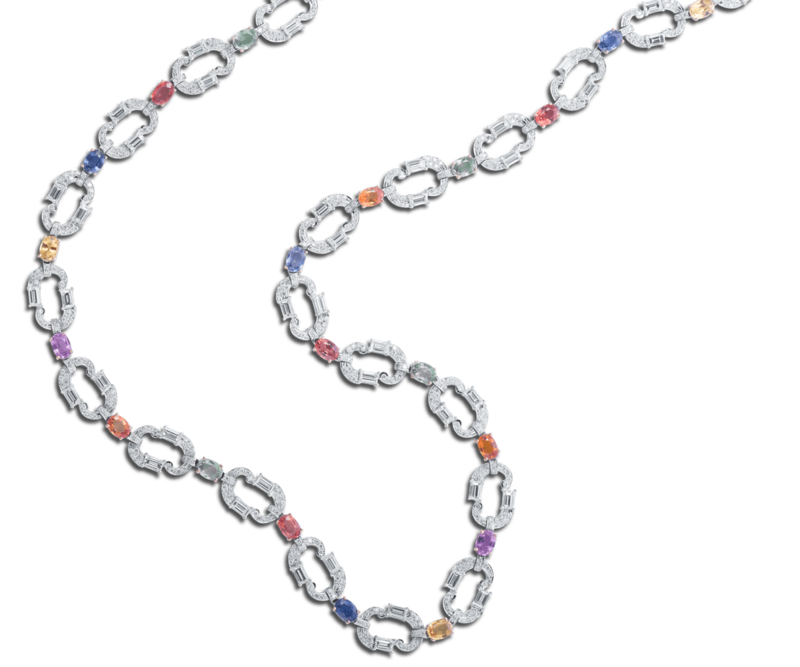 Composed of an alternating oval-cut-vari-coloured sapphire, a rectangular-cut & circular diamond frame, mounted in white gold. The central south-sea pearl and diamond stylised flowehead cluster to graduated flower cluster, both composed of rose-cut diamonds suspending briolettes, mounted in white gold. 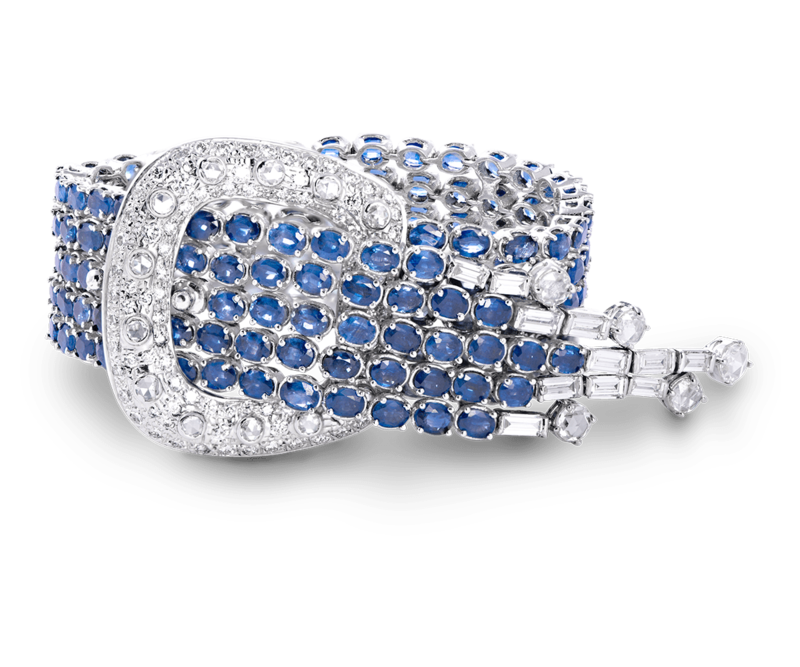 Designed as an oval- shaped sapphire band with rose-cut & baguette diamond tassels, to the circular- cut diamond buckle, mounted in white gold. SHRUTI SUSHMA, the haute couture jewelry, is creating magic with its real masterpieces. A chosen one among jewelry aficionados, Shruti Sushma adds life into every jewel. 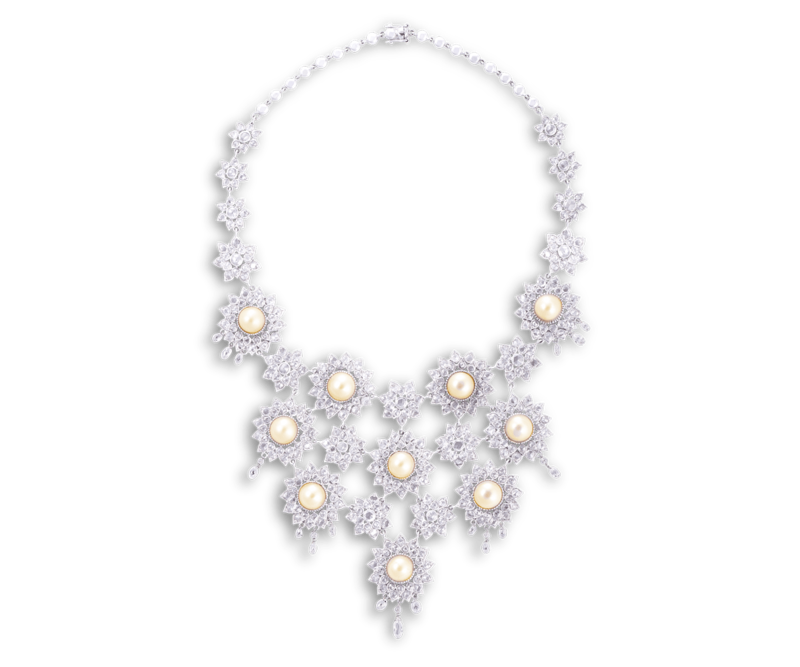 each Shruti Sushma piece reflects outstanding design and craftsmanship. FF Floor, Courtyard Marriott,Ramdev Nagar Cross Road,Satellite, Ahmedabad-15. India.